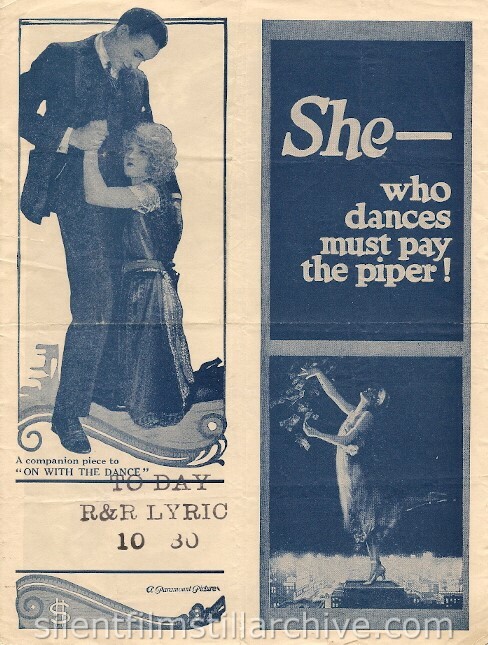 She -- who dances must pay the piper! A companion piece to "ON WITH THE DANCE"
with Dorothy Dickson, Alma Tell and George Fawcett. Directed by George Fitzmaurice. Paramount. This work (Paying the Piper (1921), by Paramount), identified by Bruce Calvert, is free of known copyright restrictions.